German enamelled steel bathroom manufacturer, Bette, has developed new versions of its innovative, narrow-rimmed freestanding bath, the BetteArt, to extend its usage options and further meet the needs of the UK bathroom market. The launch of the BetteArt in 2013 represented a 'first' in the enamelled steel bath sector with the bath featuring an extremely narrow rim, never seen before in an enamelled steel freestanding bath. The BetteArt has been extremely well received and, after requests from retailers and designers for a version for more compact bathrooms, Bette is extending the BetteArt range to incorporate new 'wall' and 'corner' options. The BetteArt is a beautifully shaped, narrow-rimmed freestanding bath in which the exterior follows the interior, so creating the maximum bathing area possible for the bath footprint and a contemporary style. The design left only the minimum gap between the interior and exterior for the water inlet/outlet, which had to be developed specifically for the bath by German plumbing specialist, Viega. The BetteArt was designed in conjunction with German design team, Tesseraux & Partner and, although strikingly contemporary, has a restraint which makes it timeless. 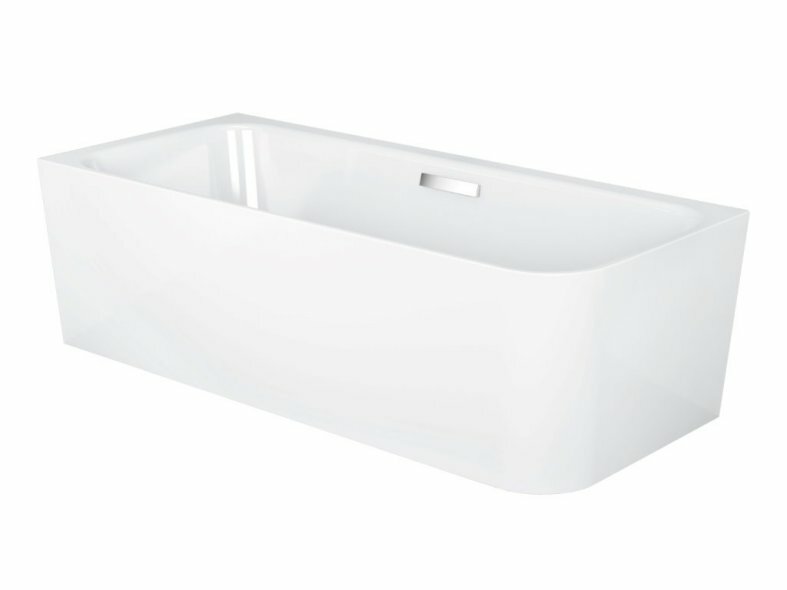 In conjunction with Tesseraux & Partner, Bette has created new versions of the BetteArt bath, which are designed to be positioned against a wall or into a corner, so bringing this stylish bath option to bathrooms that may not be large enough for a freestanding bath to be positioned away from a wall, or for bathrooms where a wall is part of the design. Like the original BetteArt, the new baths look as if they are made from a single piece of enamelled steel, but are in fact two pieces that have been expertly welded together, before being finished with Bette's BetteGlaze enamel, which is extremely smooth, hygienic, easy to clean and has a 30 year warranty. The new baths feature the same narrow rims on the edges that look out to the bathroom, while the edges against a wall are wider so that they can be used as a shelf. The BetteArt Wall Installation measures 180 x 80 x 56cm, with an interior depth of 45cm. The left and right handed versions of the BetteArt Corner Installation both measure 185 x 80 x 56cm with interior depths of 45cm. 100% made in Germany, coordinating washbasins in enamelled steel are also available. Comments Bette head of marketing, Sven Rensinghoff: "We first introduced 'against-the-wall' and corner versions of our curved, in one piece Silhouette freestanding bath in 2012 and have found that they are extremely popular because they provide the luxury and ease of installation of a freestanding bath that is delivered in one piece, without the need for an extremely large bathroom. Our creation of the BetteArt bath provided a freestanding enamelled steel bath that satisfies the demand for a more slender and minimal look, and so we have introduced these new options to allow designers to use the very best freestanding bath, even where space is limited, or where the design requires the bath to be against a wall or into a corner.